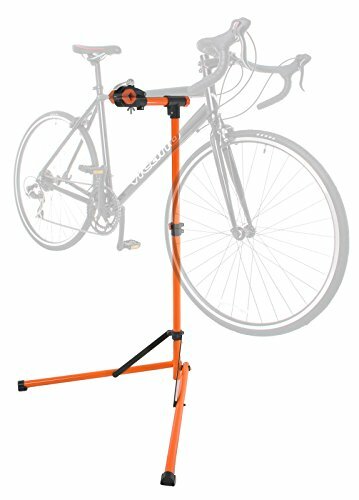 This Conquer bike workstand is sturdy and ultra compact. The complete stand quickly folds to only 36" x 15" x 7" for storage. The head rotates 360 degrees and locks in place enabling you to position your bike just so. The clamp is adjustable for clamping your seatube, saddle post, or top tube.